Abstract：A single set of vertically aligned fractures embedded in a horizontal fine layer can be considered to be a long-wavelength effective orthorhombic anisotropic medium. The estimation of anisotropic parameters and fracture weaknesses is of great importance to characterize the anisotropy of heterogeneous anisotropic media. The elastic inverse scattering theory is one of the effective tools to realize the inversion for the elastic and anisotropic parameters of such media. Based on this theory, we first derive a linearized PP-wave reflection coefficient in terms of Thomsen anisotropic parameters and fracture weaknesses in heterogeneous orthorhombic media. A novel parameterization method of azimuthally anisotropic elastic impedance is then proposed using the variant formulations of anisotropic parameters. To improve the inversion stability and the lateral continuity, we develop an anisotropic elastic impedance inversion with angles of incidence and azimuth inversion method in the Bayesian framework using the regularization of the Cauchy-sparse constraint, smoothing model constraint and the nonlinear iteratively reweighted least squares (IRLS) strategy to estimate the anisotropic parameters and fracture weaknesses. Tests on synthetic and real data show that the results agree well with well log interpretation, and validate that this method can estimate the anisotropic parameters stably and reliably, providing a robust tool for inversion of heterogeneous orthorhombic media. Alemie W, Sacchi M D. 2011. High-resolution three-term AVO inversion by means of a Trivariate Cauchy probability distribution. Geophysics, 76(3):R43-R55. Bachrach R. 2015. Uncertainty and nonuniqueness in linearized AVAZ for orthorhombic media. The Leading Edge, 34(9):1048-1056. Backus G E. 1962. Long-wave elastic anisotropy produced by horizontal layering. Journal of Geophysical Research, 67(11):4427-4440. Bakulin A, Grechka V, Tsvankin I. 2000. Estimation of fracture parameters from reflection seismic data-Part Ⅱ:Fractured models with orthorhombic symmetry. Geophysics, 65(6):1803-1817. Bakulin A, Grechka V, Tsvankin I. 2002. Seismic inversion for the parameters of two orthogonal fracture sets in a VTI background medium. Geophysics, 67(1):292-299. Brown R S, Korringa J. 1975. On the dependence of the elastic properties of a porous rock on the compressibility of the pore fluid. Geophysics, 40(4):608-616. Buland A, Omre H. 2003. Bayesian linearized AVO inversion. Geophysics, 68(1):185-198. Burridge R, De Hoop M V, Miller D, et al. 1998. Multiparameter inversion in anisotropic elastic media. Geophysical Journal International, 134(3):757-777.
ervený V, Pšenik I. 2001. Seismic Ray Theory. Cambridge:Cambridge University Press. Chen H Z, Yin X Y, Gao C G, et al. 2014a. AVAZ inversion for fluid factor based on fracture anisotropic rock physics theory. Chinese Journal of Geophysics (in Chinese), 57(3):968-978, doi:10.6038/cjg20140326. Chen H Z, Yin X Y, Zhang J Q, et al. 2014b. Seismic inversion for fracture rock physics parameters using azimuthally anisotropic elastic impedance. Chinese Journal of Geophysics (in Chinese), 57(10):3431-3441, doi:10.6038/cjg20141029. Cui J, Han L G, Liu Q K, et al. 2010. P-SV wave elastic impedance and fluid identification factor in weakly anisotropic media. Applied Geophysics, 7(2):135-142. Eaton D W S, Stewart R. 1994. Migration/inversion for transversely isotropic elastic media. Geophysical Journal International, 119(2):667-683. Far M E, Sayers C M, Thomsen L, et al. 2013. Seismic characterization of naturally fractured reservoirs using amplitude versus offset and azimuth analysis. Geophysical Prospecting, 61(2),427-447. Hood J A. 1991. A simple method for decomposing fracture-induced anisotropy. Geophysics, 56(8):1275-1279. Hornby B E, Schwartz L M, Hudson J A. 1994. Anisotropic effective medium modeling of the elastic properties of shales. Geophysics, 59(10):1570-1583. Hsu C J, Schoenberg M. 1993. Elastic waves through a simulated fractured medium. Geophysics, 58(7):964-977. Hudson J A. 1980. Overall properties of a cracked solid. Mathematical Proceedings of the Cambridge Philosophical Society, 88(2):371-384. Hudson J A. 1981. Wave speeds and attenuation of elastic waves in material containing cracks. Geophysical Journal International, 64(1):133-150. Liu E R, Martinez A. 2012. Seismic Fracture Characterization. Netherlands:EAGE Publication. Ma J F. 2003. Forward modeling and inversion method of generalized elastic impedance in seismic exploration. Chinese Journal of Geophysics (in Chinese), 46(1):118-124. Martins J L. 2006. Elastic impedance in weakly anisotropic media. Geophysics, 71(3):D73-D83. Mora P. 1987. Nonlinear two-dimensional elastic inversion of multioffset seismic data. Geophysics, 52(9):1211-1228. Pšenik I, Martins J L. 2001. Properties of weak contrast PP reflection/transmission coefficients for weakly anisotropic elastic media. Studia Geophysica et Geodaetica, 45(2):176-199. Rüger A. 1996. Reflection coefficients and azimuthal AVO analysis in anisotropic media[Ph. D. thesis]. Colorado:Colorado School of Mines. Scales J A, Smith M L. 1994. Introductory Geophysical Inverse Theory. Golden Colorado:Samizdat Press. Schoenberg M. 1980. Elastic wave behavior across linear slip interfaces. Journal of the Acoustical Society of America, 68(5):1516-1521. Schoenberg M. 1983. Reflection of elastic waves from periodically stratified media with interfacial slip. Geophysical Prospecting, 31(2):265-292. Schoenberg M, Douma J. 1988. Elastic wave propagation in media with parallel fractures and aligned cracks. Geophysical Prospecting, 36(6):571-590. Schoenberg M, Helbig K. 1997. Orthorhombic media:Modeling elastic wave behavior in a vertically fractured earth. Geophysics, 62(6):1954-1957. Shaw R K, Sen M K. 2004. Born integral, stationary phase and linearized reflection coefficients in weak anisotropic media. Geophysical Journal International, 158(1):225-238. Shaw R K, Sen M K. 2006. Use of AVOA data to estimate fluid indicator in a vertically fractured medium. Geophysics, 71(3):C15-C24. Stolt R H, Weglein A B. 1985. Migration and inversion of seismic data. Geophysics, 50(12):2458-2472. Thomsen L. 2002. Understanding seismic anisotropy in exploration and exploitation.//72th Ann. Internat Mtg., Soc. Expi. Geophys.. Expanded Abstracts. Tsvankin L. 1997. Anisotropic parameters and P-wave velocity for orthorhombic media. Geophysics, 62(4):1292-1309. Weglein A B. 1993. Nonlinear inverse scattering for multiple attenuation.//SPIE's 1993 International Symposium on Optics, Imaging, and Instrumentation. San Diego,158-160. Wu R S, Aki K. 1985. Scattering characteristics of elastic waves by an elastic heterogeneity. Geophysics, 50(4):582-595. Xu S Y, Payne M A. 2009. Modeling elastic properties in carbonate rocks. The Leading Edge, 28(1):66-74. Yin X Y, Zhang S X, Zhang F. 2013a. Two-term elastic impedance inversion and Russell fluid factor direct estimation method for deep reservoir fluid identification. 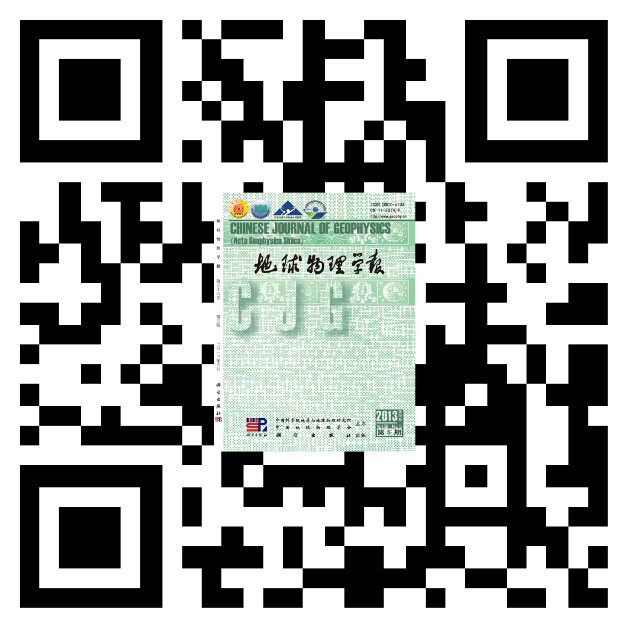 Chinese Journal of Geophysics (in Chinese), 56(7):2378-2390, doi:10.6038/cjg20130724. Yin X Y, Zong Z Y, Wu G C. 2013b. Seismic wave scattering inversion for fluid factor of heterogeneous media. Science China:Earth Sciences, 57(3):542-549. Zhang F, Li X Y. 2015. Exact elastic impedance tensor for isotropic media. Science China Earth Sciences, 58(8):1350-1360. Zhang G Z, Chen H Z, Wang Q, et al. 2013. Estimation of S-wave velocity and anisotropic parameters using fractured carbonate rock physics model. 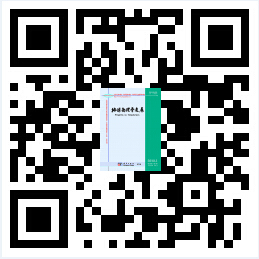 Chinese Journal of Geophysics (in Chinese), 56(5):1707-1715, doi:10.6038/cjg20130528. Zhang G Z, Chen J J, Chen H Z, et al. 2015. Prediction for in-situ formation stress of shale based on rock physics equivalent model. Chinese Journal of Geophysics (in Chinese), 58(6):2112-2122, doi:10.6038/cjg20150625. 陈怀震, 印兴耀, 高成国等. 2014a. 基于各向异性岩石物理的缝隙 流体因子AVAZ反演. 地球物理学报, 57(3):968-978, doi:10.6038/cjg20140326. 陈怀震, 印兴耀, 张金强等. 2014b. 基于方位各向异性弹性阻抗的裂缝岩石物理参数反演方法研究. 地球物理学报, 57(10):3431-3441, doi:10.6038/cjg20141029. 陈天胜, 魏修成, 刘洋. 2006. 一种新的各向异性弹性阻抗近似公式. 石油物探, 45(6):563-569. 马劲风. 2003. 地震勘探中广义弹性阻抗的正反演. 地球物理学报, 46(1):118-124. 印兴耀, 张世鑫, 张峰. 2013a. 针对深层流体识别的两项弹性阻抗反演与Russell流体因子直接估算方法研究. 地球物理学报, 56(7):2378-2390, doi:10.6038/cjg20130724. 印兴耀, 宗兆云, 吴国忱. 2013b. 非均匀介质孔隙流体参数地震散射波反演. 中国科学:地球科学, 43(12):1934-1942. 张峰, 李向阳. 2015. 各向同性介质弹性阻抗的张量表示. 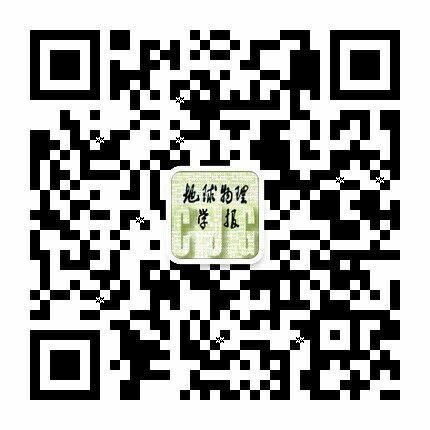 中国科学:地球科学,, 45(6):799-810. 张广智, 陈怀震, 王琪等. 2013. 基于碳酸盐岩裂缝岩石物理模型的横波速度和各向异性参数预测. 地球物理学报, 56(5):1707-1715, doi:10.6038/cjg20130528. 张广智, 陈娇娇, 陈怀震等. 2015. 基于页岩岩石物理等效模型的地应力预测方法研究. 地球物理学报, 58(6):2112-2122, doi:10.6038/cjg20150625. 宗兆云, 印兴耀, 张峰等. 2012b. 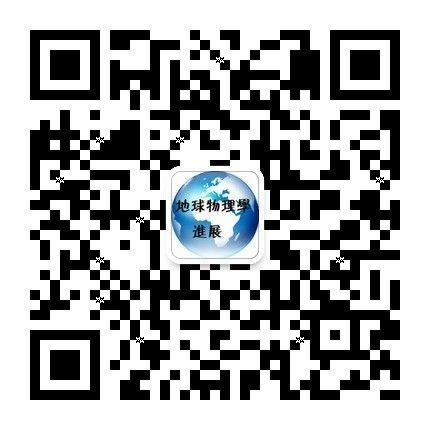 杨氏模量和泊松比反射系数近似方程及叠前地震反演. 地球物理学报, 55(11):3786-3794, doi:10.6038/j.issn.0001-5733.2012.11.025. 唐巍, 王彦飞. 基于TIE方程的空间域相位恢复迭代算法[J]. 地球物理学报, 2017, 60(5): 1851-1860. 刘洋, 李炳秀, 王典, 刘财, 武尚. 基于正则化条件的地震数据局部信噪比估计方法[J]. 地球物理学报, 2017, 60(5): 1979-1987. 李勇, 林品荣, 刘卫强, 孟庆奎. 2.5维电导率正交各向异性海洋可控源电磁等参有限元数值模拟[J]. 地球物理学报, 2017, 60(2): 748-765. 董一飞, 张致付. 基于菲涅尔带理论的无线电波层析正则化方法研究[J]. 地球物理学进展, 2017, 32(1): 18-25. 王明, 张建中, 邓杨, 孙运宝, 赵铁虎. 反射地震层析成像在海洋天然气水合物储层识别中的应用[J]. 地球物理学进展, 2017, 32(1): 401-407. 郭欣, 雍学善, 高建虎, 李胜军. 基于二阶谱及多阶微分融合的频谱拓展方法[J]. 地球物理学进展, 2016, 31(5): 2095-2102. 朱肖雄, 崔益安, 陈志学. 基于最小二乘正则化的自然电场场源反演成像[J]. 地球物理学进展, 2016, 31(5): 2313-2318. 廖建平, 刘和秀, 黄建平, 赵延林, 郑桂娟, 戴世鑫, 杨天春, 王齐仁. 二维无限频率初至走时反演井间地震实际资料[J]. 地球物理学进展, 2016, 31(4): 1628-1632. 陈光源, 杜立彬, 景建恩, 吴凯, 邓明, 陈凯. 2.5维海洋可控源电磁反演算法及影响参数研究[J]. 地球物理学进展, 2016, 31(4): 1796-1802. 刘文卿, 王西文, 王宇超, 雍学善, 王小卫, 张涛. 带正则化校正的TTI介质qP波方程及其逆时偏移方法和应用[J]. 地球物理学报, 2016, 59(3): 1059-1069. 王琦, 张琼, 于生宝, 王凌群, 朱凯光. 固定翼时间域航空电磁数据拟二维整体反演[J]. 地球物理学进展, 2016, 31(3): 1173-1180. 杨磊, 张志勇, 李曼, 周峰, 殷哲琦. 直流电阻率法与大地电磁法的二维联合反演[J]. 地球物理学进展, 2016, 31(2): 851-855.